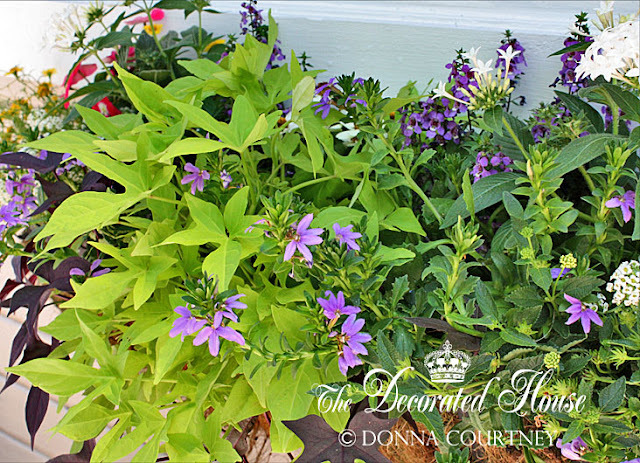 Your windowbox looks so pretty, Donna! I have plans to do sweet potato vine, too, and use some verbena ~ so basically the same color combination as you. I haven't gotten anything yet, because I could just see getting a frost still. I will be looking forward to see what's growing in your climates soon. It is certainly a great perk to be able to get the flowers in the ground so early to enjoy them. But it can be work getting through the heat in the summer.